The fast-growing technology would reach each and every aspect of daily needs. The on-demand services are making their way with the technology. In this fashion, one more on-demand service for on-demand rides has been added. The on-demand service providers with their best foot have partnered with the logistics services and thus creating a boom in the market. The on-demand rides have been changing the transportation mode to a newer extent. The ride-sharing companies are coming forward to move the mob from regular transportation to the on-demand transportation. The on-demand services are picking up the pace. Customers and users are now getting the services they want within few minutes and through few clicks. Therefore many startups and businesses have come forward to serve the customers for their on-demand needs. In this context, the logistics services and transportation services have encountered all the available classical services. The startups are using Cars & bike taxi to serve their customers. But when they realize the value of money of customers, the two-wheeler riding has been found to be affordable as well as convenient for riding. 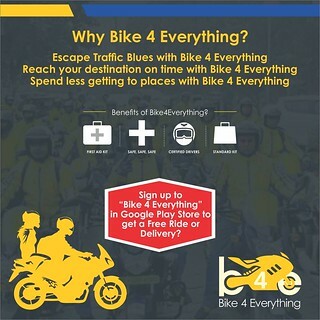 How can you avail the bike-riding service for your on-demand need? 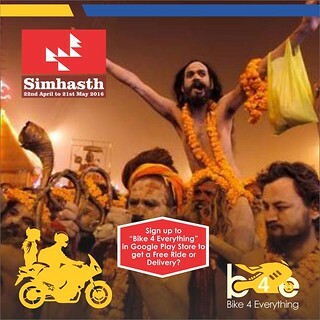 There are many service providers who are willing to serve their customers with the bike-riding experience. They understand that what do their customers face while searching for the right transportation or logistics services at the time they require. Customers have to wait in a queue to have a bus pass or need to have an unwanted conversation and bargain with the auto drivers eating tobacco or pan. This makes the things more ridiculous for the customers. Going for an urgent meeting and waiting for the bus at the bus stop may make you late. Going to a marriage but you don’t have the time to pick-up your blazer from the laundry shop. Either you are going to miss the function or you may wear some old suit. Disgusting! Suddenly your friend has called you that they are coming to visit your house and would have dinner too. You don’t have enough food materials and grocery right now. How will you manage? You need a person who can buy food materials and grocery for you even you are at home. You are new in this city and you need a carpenter but you wouldn’t have known a carpenter or any carpentry service provider then what will be the solution to avail the carpentry service at that instant only? These are the few cases of the on-demand needs and services but there are many that occur in the daily life.What if you get the one solution for all? Yes, there are many logistics and on-demand service providers who serve right from picking up your parcel from laundry or buying the grocery for you. Availing the carpentry services at the time you need or even picking you from your home for an urgent meeting.